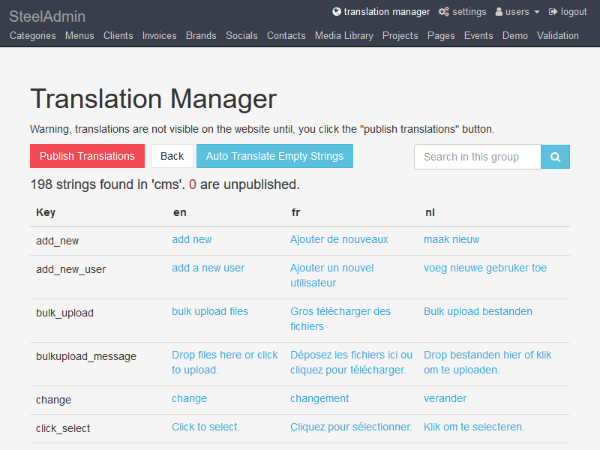 This handy tool, allows admins to manage the translatable content. 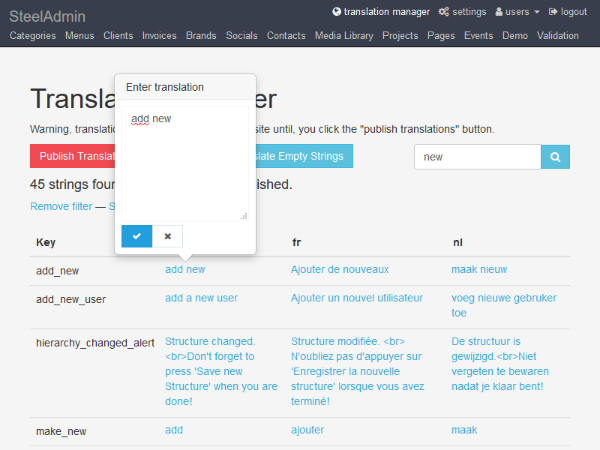 Empty strings can automatically be translated with Google. This was the first part of the admin system, where I replaced jQuery with Vue.js. Two laravel packages were used: Barryvdh's Translation Manager and Google Translate Php from Stichoza. On the left side is an alphabetical list of all the keys for the "cms" group. 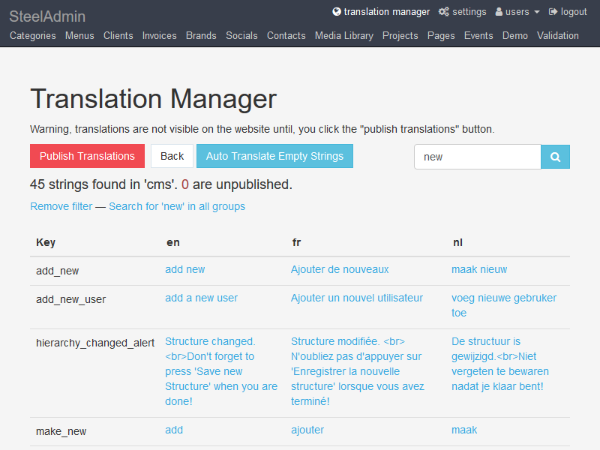 The columns on the right, have the translated content for the available languages (in this case: English, French and Dutch). The search results of all the strings that contain "new". Possibility to search within a group or in all groups. Clicking on a string, will open a pop-up in order to edit the string. Saving will automatically open the next string.